Hal’s article was published in CFO in January 2018. Much like Frank Sinatra, financial executives who have just wrapped the laborious budgeting process are also likely to have a list of unmentioned regrets. If they were inclined to articulate them, no doubt zero-based budgeting (ZBB) would land atop the heap. Because it’s a concept so often misunderstood or misused, let’s avoid our own regret and pause for clarification: ZBB, first introduced in the ’70s, is a process of budgeting that requires managers to build their budgets from zero on an annual basis. It employs a complex methodology wherein finance breaks costs into decision packages, assigns each package to two owners with differing perspectives, and requires decision-makers to force-rank priorities. This clan is comprised of those CFOs who, given fund sponsor or stakeholder pressure, undertook a ZBB approach to budgeting, only to find its sullied reputation true: It was indeed not only prohibitively complex, but it also positioned the office of the CFO as a burdensome antagonist to the business. More regretful was the fact that it just didn’t work. The Just Dids fall into the 65% of companies that employed ZBB but failed to meet budgeting goals. A deeper dive into ZBB user survey stats shows even more reason for regret: 41% who have employed ZBB point to poor design and understanding as a reason for goal failure; 47% point to the poor business case for its use in the first place. Of course, the flip side to those who just went through a failed ZBB pilot are the executives who never will. These are the CFOs who have either heard the ZBB horror stories (see above) or who simply elect a more traditional approach to budgeting. Why the regret then? Because, these are also the (mostly private equity-backed) CFOs who have substantial cost cutting-targets to meet and now, on the backend of budgeting season, realize the traditional approach won’t get them there. These are the CFOs who know that post-deal, PE investors retain the existing CFO only 25% of the time. In addition, they are concerned about their level of “replaceability” with an executive more amenable to unorthodox budgeting philosophies and more confident about meeting aggressive value creation targets. With apologies to Sinatra, what neither the Just Dids nor the Never Wills seem to understand is that there is a “my way” approach to ZBB that avoids the pitfalls of going all-in, while still embracing a more innovative approach to budgeting. We call it ZBB-light. This edited approach borrows many of the ZBB principles and applies them to certain costs within specific business departments and functions. (It’s particularly applicable to costs that are not directly related to revenue). Leveraging some of ZBB’s core concepts (like decision units and decision packages) can force the organization to think about alternative ways to perform functions without burdening the business with some of ZBB’s labor-adding exercises. Sound too good to be true? That’s because in some ways it is. But, doing ZBB-light and doing it right are two different things entirely. For the latter to occur, the planning phase for year-end budgeting has to happen, well, now. And that planning must take the form of a three-step robust data hygiene exercise, the purpose of which is to create a single source of financial truth to inform cost cutting targets. Step 1: Diagnostic. The diagnostic phase helps identify the lowest hanging fruit for ZBB-light applicability. 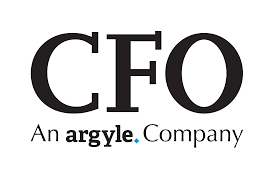 CFOs must create a matrix of corporate financials, by functional area, department, and cost category (e.g., travel and expenses) focusing on selling, general and administrative expenses versus gross margin. This data diagnostic exercise will enable the corporation to target the right functions/departments and will provide an accurate assessment of the total scope of potential margin improvement. Step 2: Benchmarking. Now that the data are clean, the CFO has an accurate point of departure for comparison. That comparative exercise must take place both internally and externally: Finance must take a full inventory of what the company has done historically by function and department. Those internal benchmarks need to assess specific costs as a percentage of revenue over, say, a previous five-year period in order to paint a clear picture of company-specific investment/outcome ratios. The exercise must then contrast that against industry norms and best-in-class numbers. Those two comparative measures, when combined, will allow for informed target setting and achievable, yet still aggressive, goals. Step 3: Defining Success. This final step must take a very granular approach toward defining success per department/function. For example: in human resources, what does success look like? Low recruiting costs? Decreased attrition rates? In sales, is success reduced sales cycle times? A larger customer base? Increased share of wallet? Defining targets requires an understanding (via the data hygiene exercise) of the drivers of success and their correlation with spend. Only when that three-step data hygiene and analytics exercise is complete can companies effectively begin any strategic ZBB implementation, light or otherwise. It’s an undertaking, to be sure, but one that can pay significant dividends in the form of potential margin improvements upwards of 1,000 points. With margin improvements like that, maybe Sinatra was on to something: CFOs embarking on a meticulously planned ZBB-light implementation may, in fact, wind up with too few regrets to mention.